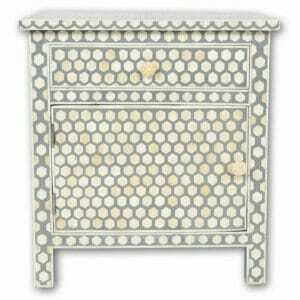 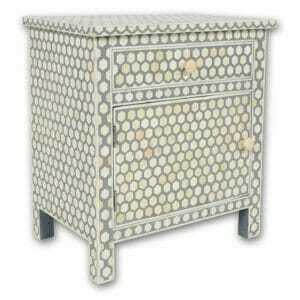 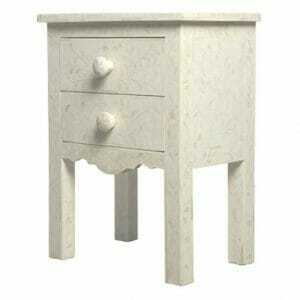 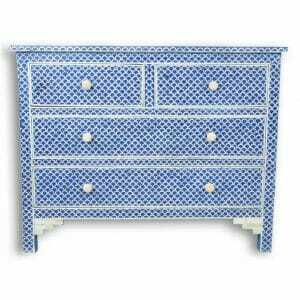 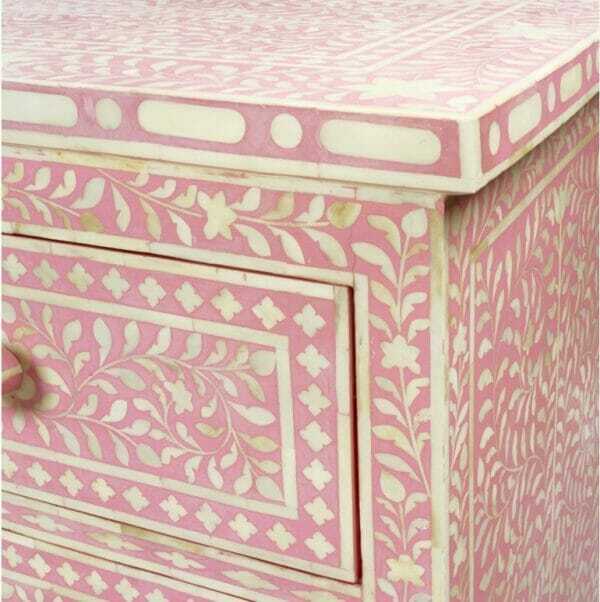 Add a romantic touch to your home with our pink bone inlay chest of drawers. 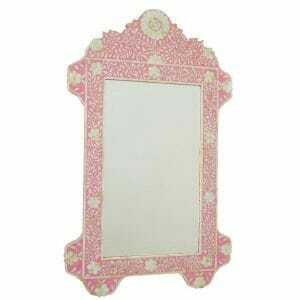 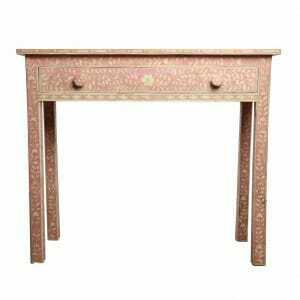 Hundreds of pieces of cruelty-free camel bone, hand-carved by our woodworkers in Rajasthan, are carefully laid into the wood to create a floral pattern that leaps beautifully from the pink resin making this a wonderful piece that will add an aura of flirtation to any room. 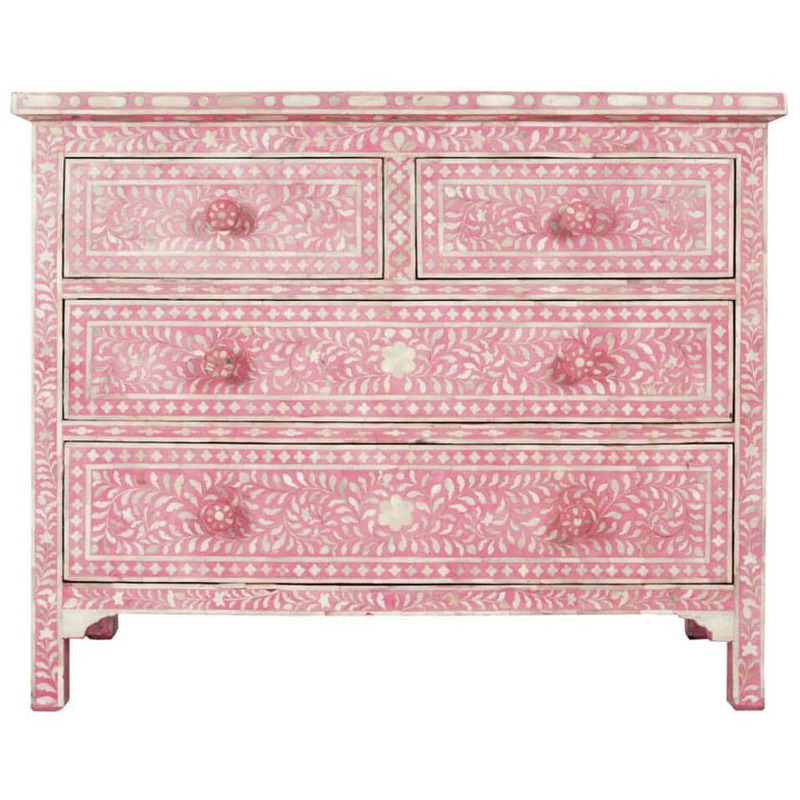 Our pink bone inlay dressers feature two small and two large drawers, making them excellent for linens, clothes, and other storage. 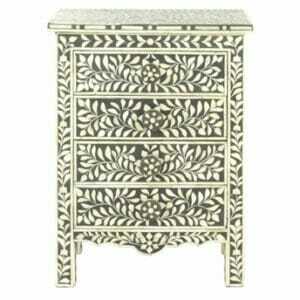 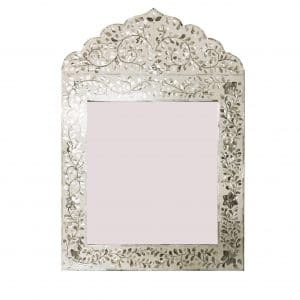 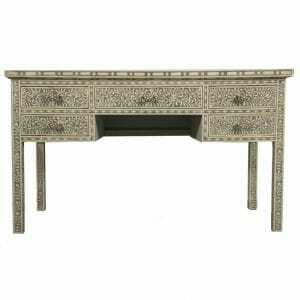 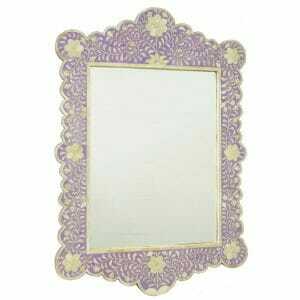 The delicate detailing of the bone inlay and the opulent floral design makes this a piece to remember for generations. 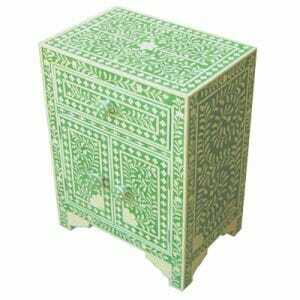 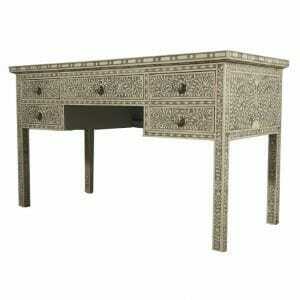 Our bone inlay furniture is crafted only with bone taken from camels that have died of natural causes. 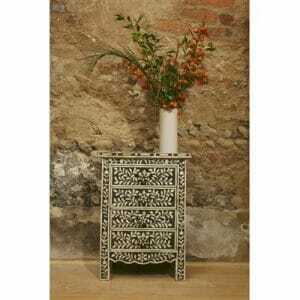 The bone inlay techniques used today by our master woodworkers originated in the seventeenth century in the Maharaja palaces of Udaipur, allowing you to bring home your own authentic piece of Indian craftsmanship. 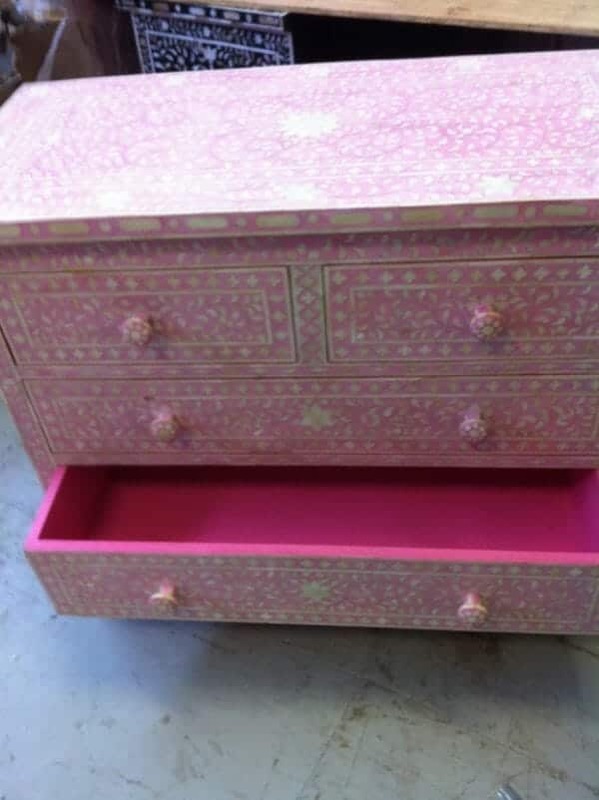 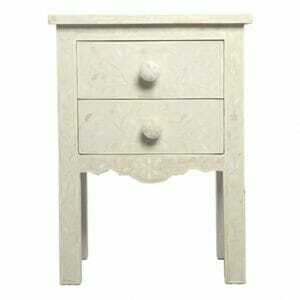 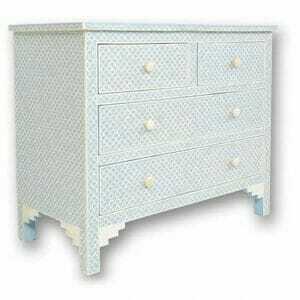 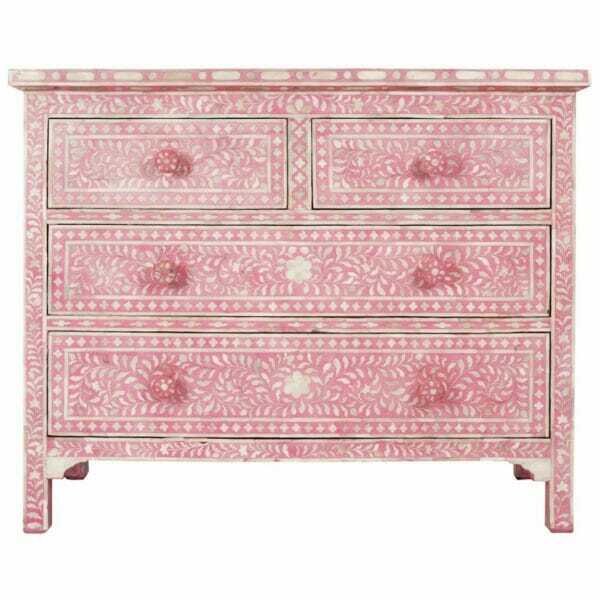 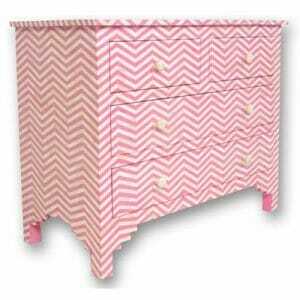 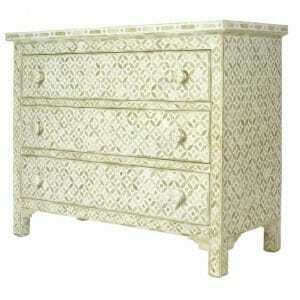 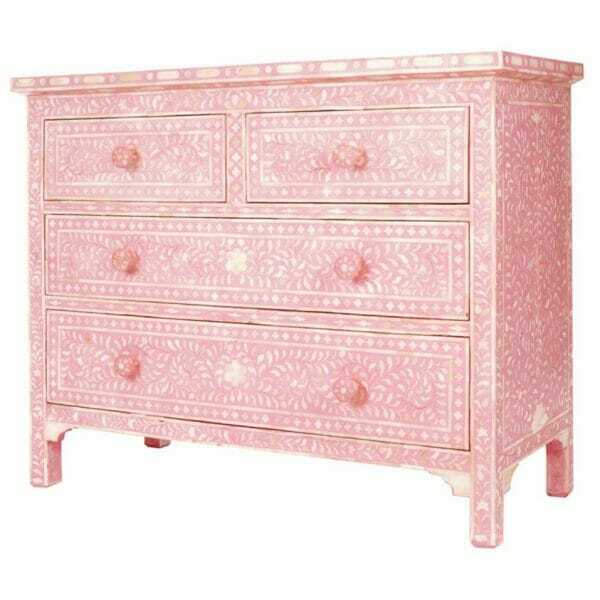 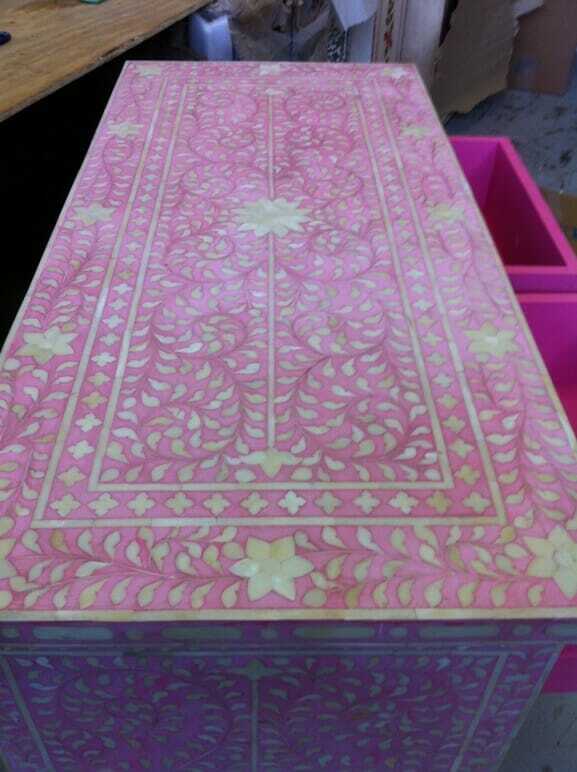 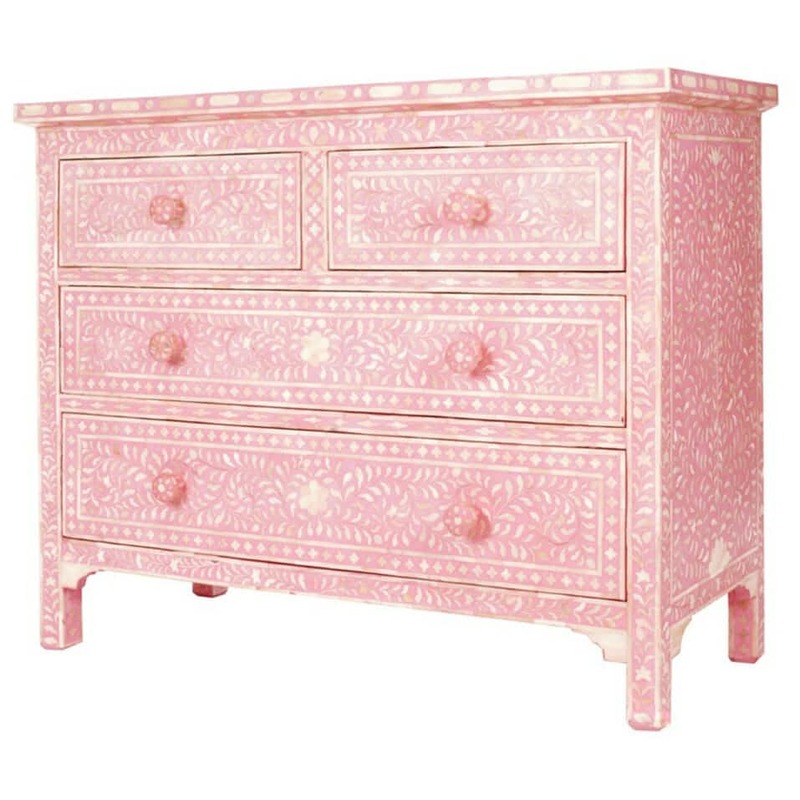 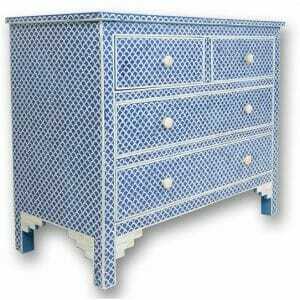 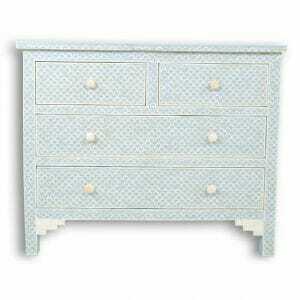 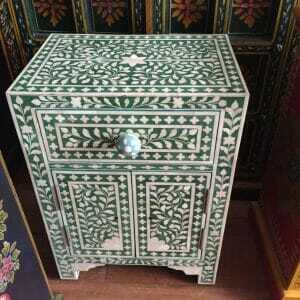 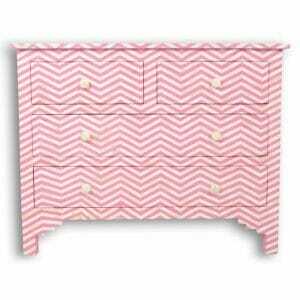 This pink chest of drawers is from our extensive range of bone inlay furniture. 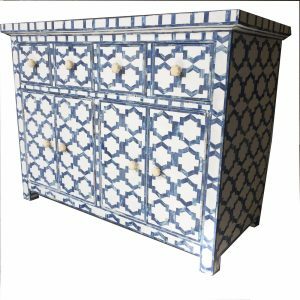 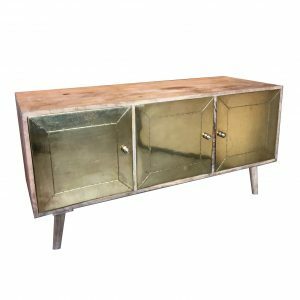 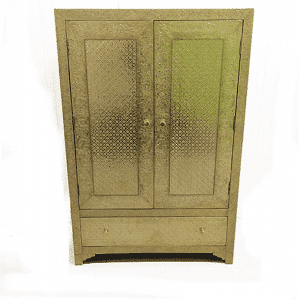 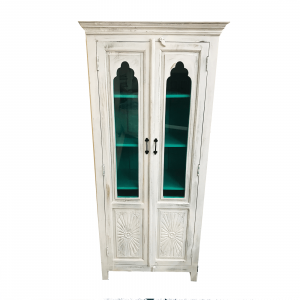 We create our pieces in an almost endless variety of colours, so that you will be sure to find one that suits your home. 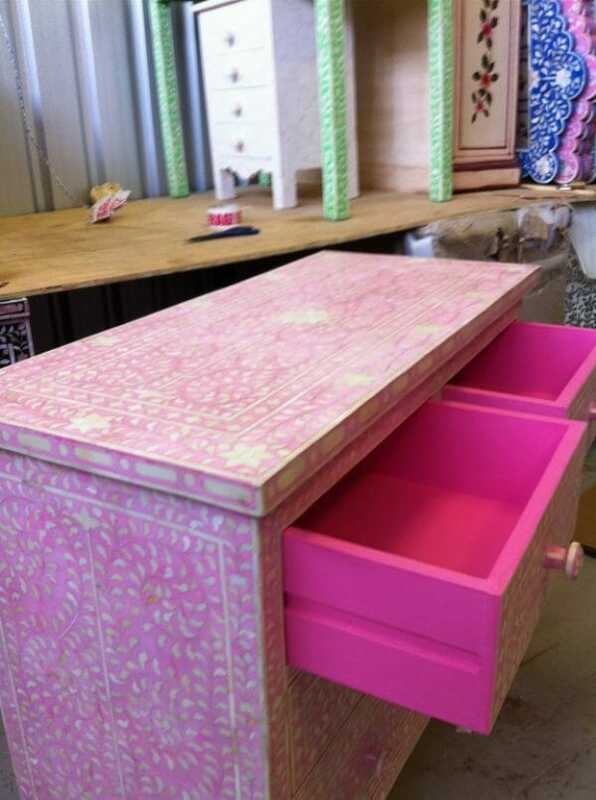 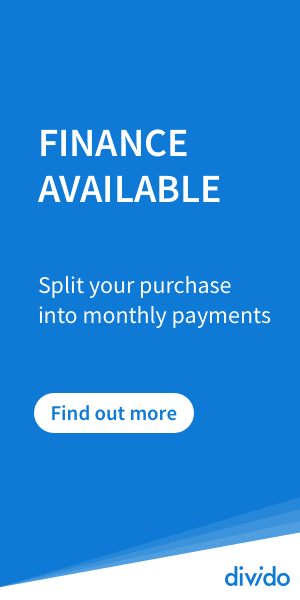 We are also more than happy to customise a design to your specification. 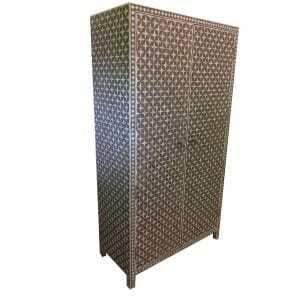 Please contact us with your desired dimensions and we will get back to you with a free quote. 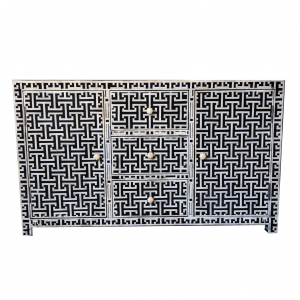 At Iris Furnishing, we are proud to uphold our ethical standards and fair trade policy. 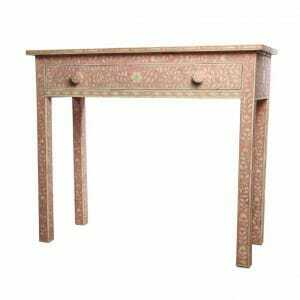 To ensure those standards as well as maintain the highest quality of craftsmanship for our furniture, we visit our suppliers and woodworkers in the Rajasthan region several times per year. 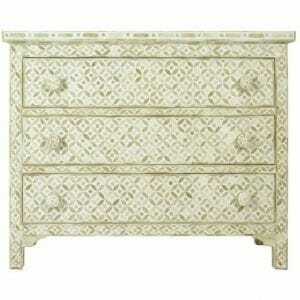 This means that we can guarantee that your furniture will bring you pride and joy for years to come.